Option 1: One wall track mount bracket kit is needed to attach each arm and pivot to wall track. Use this bracket for LX and MX arms, 400, 200 and 100 arms. Also, for attaching Universal CPU holder or Utility Shelf. Ergotron 31-039-182 Wall Track is a low-cost, zero-footprint mounting system that attaches to most vertical surfaces. It accommodates an entire computer workstation. 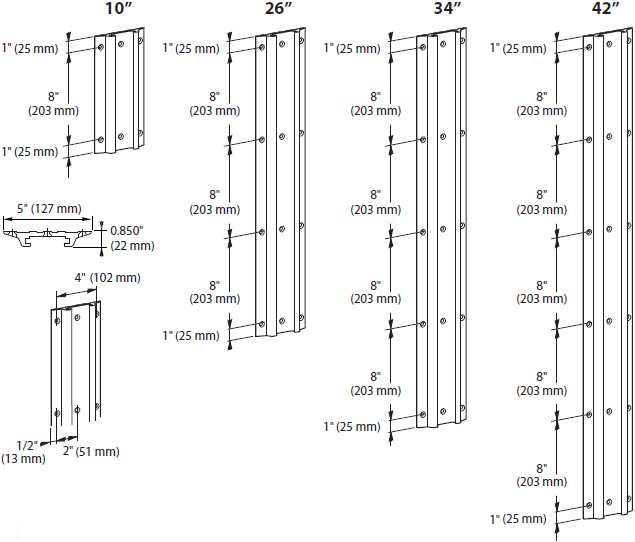 Brackets are required to attach components to Wall Track (order separately). The height of components can be adjusted by loosening set-screws on these brackets. Includes channel covers that conceal and route cables.